Stirrup & Green have linked with Toilet Twinning – an initiative that brings good, clean and safe sanitation to poor communities across the world. Dirty water, poor sanitation and unhygienic conditions increase the risk of diarrhoea, one of the leading causes of child deaths. At Stirrup & Green we provide high quality and value for money bathrooms. On top of that, for a limited time only, when you install a new bathroom with us, Stirrup & Green will donate £60 for your toilet to be twinned with a new latrine in Burundi, Cambodia or Democratic Republic of Congo. You’ll get a framed photo of your twin, complete with GPS coordinates so you can see your latrine online! To find out more, go to www.toilettwinning.org or call us for a leaflet. 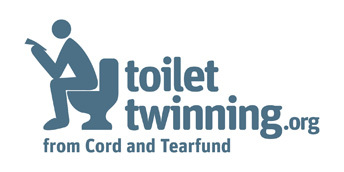 Toilet Twinning is a joint initiative of Cord, Registered Charity in the UK Number 1070684 and Tearfund, Registered Charity Number 265464 (England and Wales).